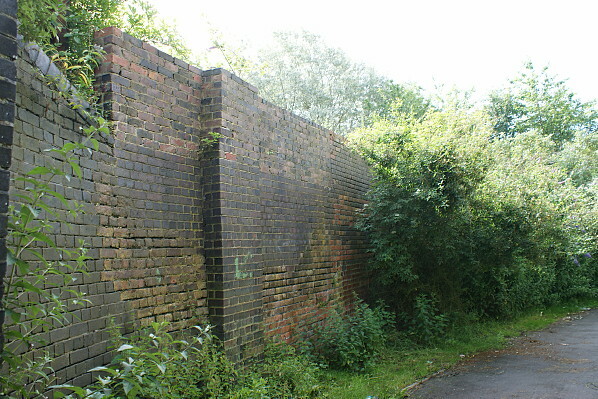 Surviving brickwork from the western end of the Widnes Locomotive Shed in Alforde Street seen on 12 July 2012. Behind the wall in the foreground and at a higher elevation there was the end of a siding. In 1952 a locomotive failed to stop and crashed through the wall and its front end landed in the street. Close inspection of the brickwork reveals the repair that was carried out.